“It so happened there resided at Brighton a certain family of the name Jones, who feeling that there was not that tone of distinction attached to their surname…added thereunto their exact locality, and they called themselves, and were called by others, the Joneses of Montpelier”, wrote the author of Brighton: The Road, The Place, the People (1862). Montpelier was fashionable from the start. Montpelier Road, running from the seafront towards Seven Dials, was developed in stages from the 1820s. Much of it was built by Amon Henry Wilds who was responsible for most of the rest of the Montpeliers including Montpelier Villas, Montpelier Terrace and the fabulous Montpelier Crescent. 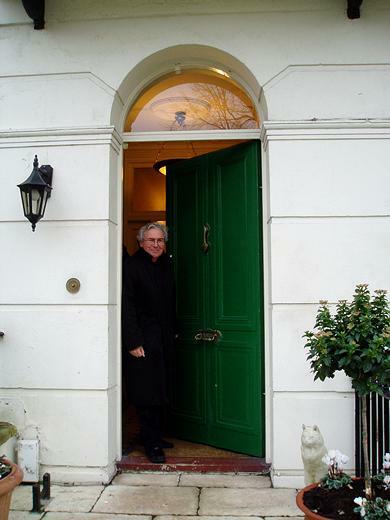 Montpelier Crescent is a sweeping arc of 38 white stuccoed houses close to Seven Dials. It was built on the site of a cricket ground that was once known as the Temple Fields Ground on which Sussex played All-England in 1842. The centre section of Grade II* Listed linked houses (numbers 7-31) was built in 1843 and is flanked by two Grade II Listed terraces (1-6 and 32-38) which were added in 1850. 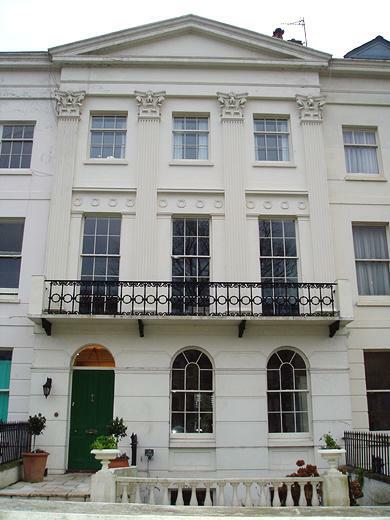 Interestingly, Park Crescent, next to the Level, was also built as a series of linked houses on a cricket ground by Wilds though Montpelier Crescent is arguably the grandest of his many compositions. No. 8 is of particular fascination as its owners, Richard and Kate Hall, won the 2005 Montpelier & Clifton Hill Conservation Award. It is a well-proportioned four storey house under a large pediment with three bays, large windows and Corinthian pilasters. 7, 8 and 9 combine to look like a single large mansion which is a running theme along the centre of the crescent. The house’s first owner was Henry Wisden who was related to John Wisden, the cricketer and creator of Wisden Cricketers’ Almanack. It became a school for boys soon after. Mrs Hall’s fine choice of colours allows the building’s many surviving original features, including pilasters, ceiling roses and cornicing, to speak for themselves. The first floor drawing room is probably my favourite room due to the excellent views over the green and abundance of light afforded by the tall balcony windows with working internal shutters. The upkeep of a conservation area is clearly a team effort. The Halls of Montpelier have certainly done their bit to keep the Montpelier & Clifton Hill Conservation area as fashionable as it was in the 1860s.